Bubbling over with energy and rocking a determinedly DIY approach to tune-making, Bajllionaire – otherwise known as Charlie Hole - builds his beats from the ground up, deliberately allowing for rough edges. Charlie’s success first took shape online, with high profile playlist inclusions and a strong Spotify charting ensuring early creations like ‘Been Gone’ and ‘Not Enough’ reached the ears of hundreds of thousands worldwide. 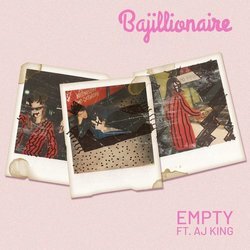 Armed with a quirky sense of humour and brutal honesty, there’s no stopping Bajillionaire from living his best life – with a slew of originals, remixes and shows well underway for the rest of the year.Whether it’s bus trip, road trip, barbecue or bedroom, Bajillionaire will hook you and hold you, soundtracking those introspective in-between moments with signature style.